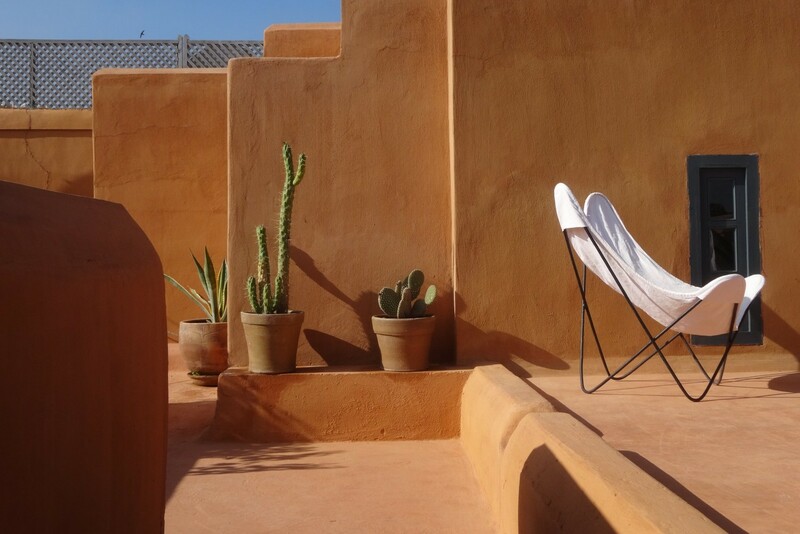 In the historic center of Marrakech, Dar el Qadi, the house of an astronomer judge, was restored by Quentin Wilbaux carrefuly respecting the ancient architecture, the materials and the traditional know-how specifically to welcome you. With your family or your friends, through an workshop or a seminar, Dar el Qadi welcomes you to come and live a journey of revitalization, relaxation and serenity. Convivial spaces, festif spaces around the fountain, next to the house fire or in the sun on the spacious terraces, dar el qadi offers a wide variety places with deep and enchanting character. A unique experience in one of the oldest and most beautiful house situated at the heart of Marrakech’s medina. To share intimate and welcoming moments with your family, or through the help of diverse tools of self-development, to widen your field of consciousness and live in harmony with yourself, the others and the world that surrounds you. Palette de couleurs, with Sophie Collet, Myriam Deru et Anne-Françoise Jadin. 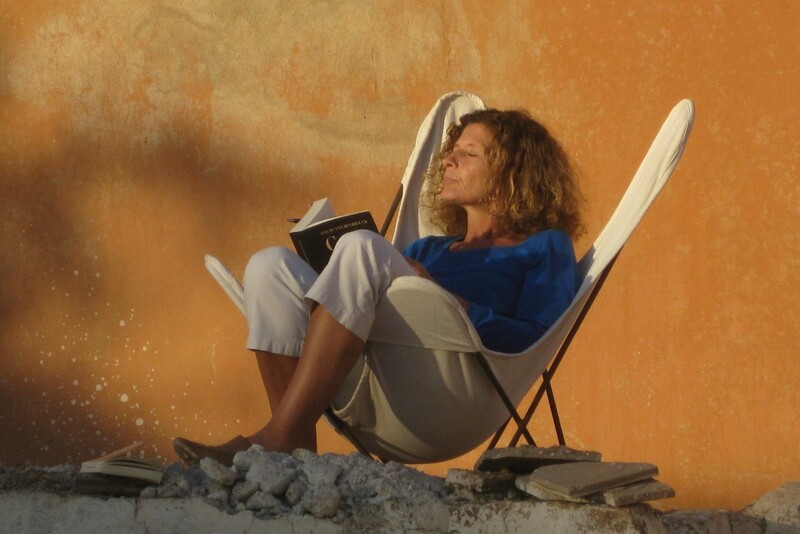 Avec Julos à Marrakech, a writing and play on words workshop by Julos Beaucarne. Mots & merveilles, writing workshop animated by Bruno Coppens. Une plongée dans l’écriture à Marrakech, workshop animated by Françoise Lalande. It’s been two years now that Christiane Thiry has opened the riad’s doors to workshops focusing on well-being and resourcing : Danse de la vie et yoga du rire à Marrakech, workshop animated pby Carine Anselme et Martine Dory and to different stays focusing on the weell-being at work (intership of constellations familiales). Her aim is to develop theses workshops and to make it interactif and intercultural with an important link with the local intervenants and in collaboration with partners implented in Morrocco. 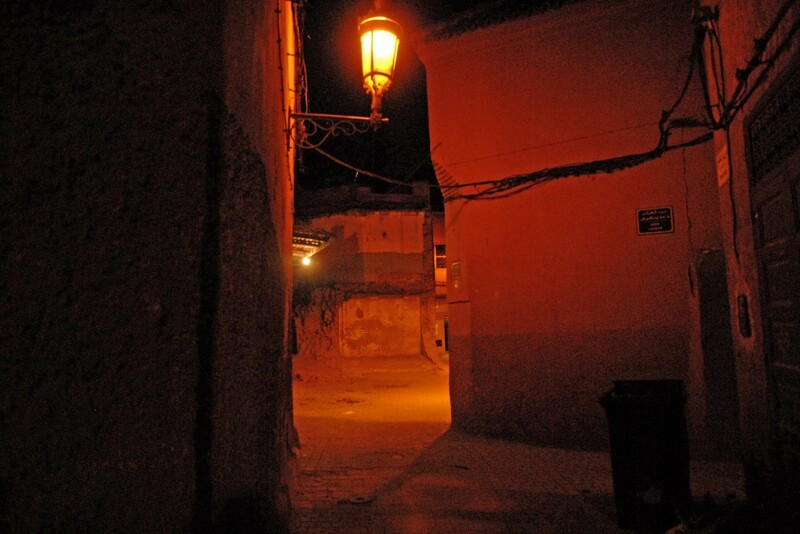 It is an authentic haze formed by winding alleys, a permanent spectacle enriched by mutliple sounds and perfumes. The main plaza, Djemaa El Fna attracks foreign and morrocan tourists. During the day, the plaza is mostly a place for the gathering of beggars, snake charmers, showmen with monkeys, story tellers and orangejuice or water sellers. At sunset, the plaza transforms itself to become a gigantic carnaval of musicians, singers and dances meanwhile diverse little restaurants on wheels gather where you can sit and eat in a whirlwind of scents and flavours : it a real life celebration for the senses. The contrast can be surprising between the rush and agitation of the souks to the calm and the quiet of the alleys of the residential neighborhoods (the derbs), where the days pass slowly punctuated by the laughs of the children, the prayers calls given by the muezzin from the top of the minaret overhanging the neighborhood. Here, you will find long orange walls, sometimes accompanied by a vegetable seller and only disrupted by heavy doors behind which you will discover the quietness of the patio embellish by the shades of these closed gardens (ryads) of the traditional houses. Built at the eleventh century, Marrakech has always strikes the occidental travellers’ imagination. Imperial city, caravanseral, marketplaces where men of the South’s tribes and the Berber villagers, came to sell handcrafted products and food. Situated in the fertile plain of Haouz, at the hedge of the superb mountains of the Atlas, it is a majestic and impressive city, projecting its ochre colors of its ramparts and its shiny monuments. 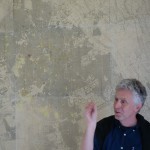 Quentin Wilbaux, architect, has been living in Marrakech’s Medina since most than 30 years now. He was naturally interested about the traditional house in Marrakech. By fear of the disappearing of the traditional houses, the riads, in Marrakech, he decided to draw the plans and photograph every riad, creating a detailed inventory of Marrakech’s most beautiful houses. Faced by degradation, by lack of maintenance or renovation, but also by the fragmentation of those lovely proprieties, he decided to react and tried to safeguard this amazing heritage. He invited many friends and acquaintances to visit and discover the beauty of Marrakech’s Medina, and convinced them to buy some of the houses that he renovated with the spirit of the traditional Moroccan housing, involving of course all the handcrafters and “maâlems” who were still using the ancestral methods. Dar el Qadi’s renovation in 1993, was the trigger of this process of revalorization of the traditional architecture. After 20 years of work, which has lead to the authentic restoration of more than 137 houses, Quentin Wilbaux has become one of the influent specialists of Morocco’s architecture. At the same time to this safeguard’s work, he has led a very large inquiry about Marrakech’s urban history and the formation of the medinas. 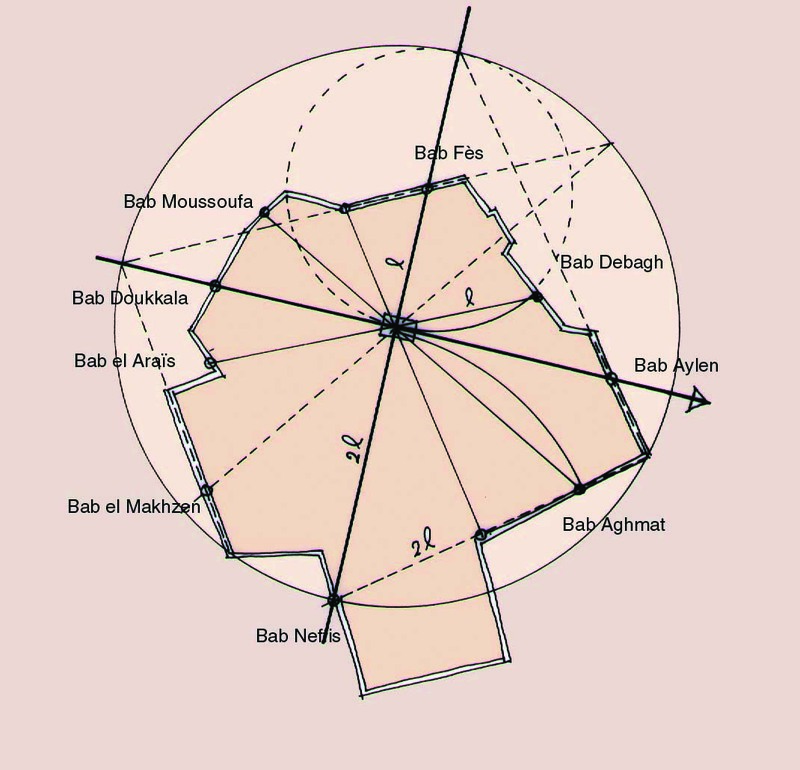 He presented the result of these researches in the thesis at the EHESS, in Paris, published in 2002 by “Harmattan” under the name of “La medina de Marrakech, formation des espaces urbains d’une ancienne capitale du Maroc”. He is also the author of many books about Morocco’s architecture (See Newspaper).